Visitors to Hong Kong are often aware of the huge ethnic diversity in the territory with people from all over the globe calling it home. While they see the obvious differences, they do not usually know that even within the Chinese community, there are several different groups of people who settled in Hong Kong over the years. 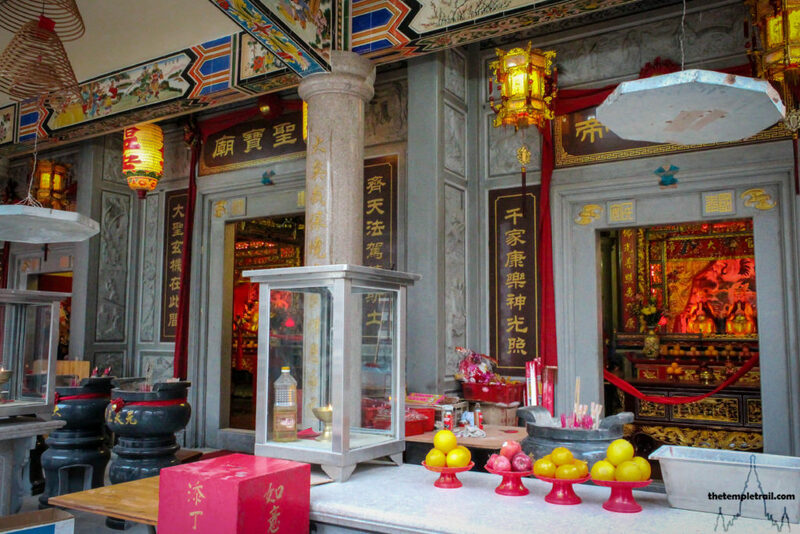 In modern times, Hong Kong has seen an influx of people from mainland China, but this is not a new phenomenon and the following six Chinese temples in Hong Kong demonstrate this. The largest part of the Chinese population of Hong Kong is made up of the Punti (本地 Běndì). Punti, or Boon Dei, means ‘local people’ in Cantonese and is a term used to refer to a few different groups of settlers. The two largest groups are people from Sam Yap (三邑 Sānyì), an area south of Guangzhou and Taishanese people, who come from the Sze Yap (四邑 Sìyì) part of Guandong Province. These two groups both originate in the Pearl River Delta of China. These original settlers have had the deepest impact on Hong Kong. 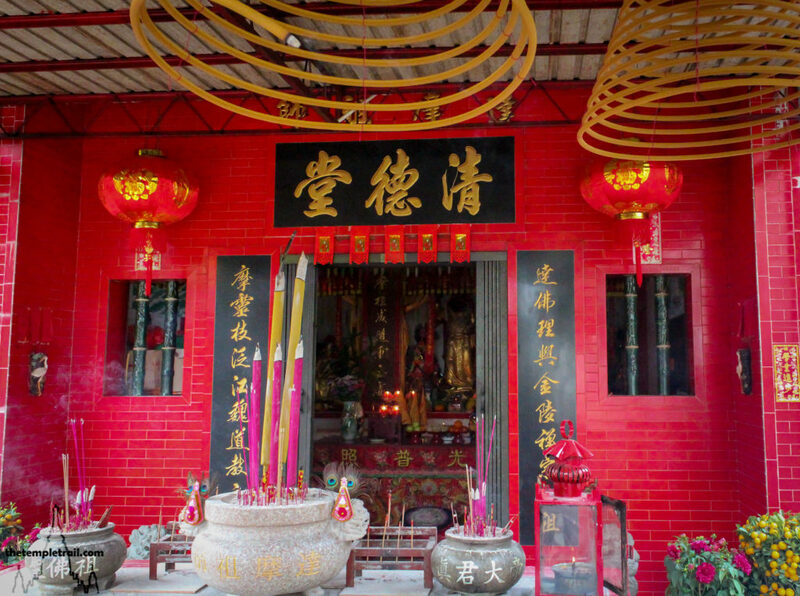 The presence of these people in the territory is best illustrated with the Tin Hau Temple at Fat Tong Mun in Joss House Bay (佛堂門天后古廟 Fó Táng Mén Tiān Hòu Gǔ Miào). Built by the Lam family in 1266, it is the oldest temple in Hong Kong. 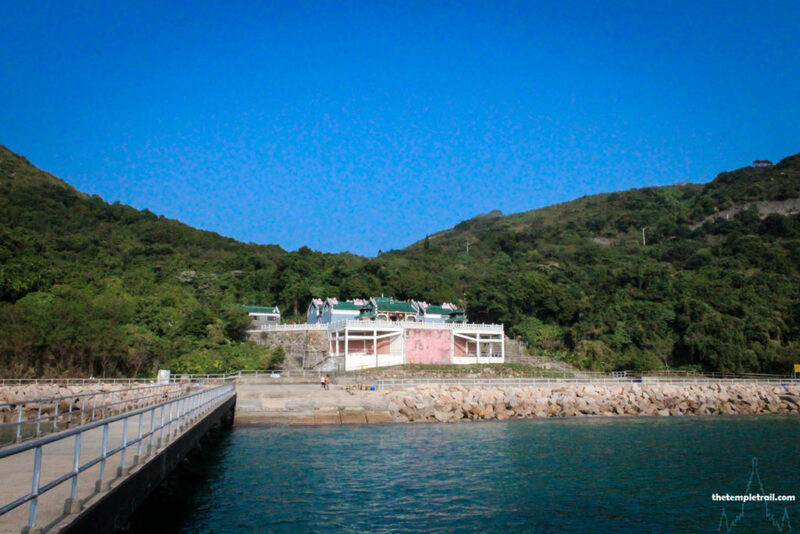 The large temple dedicated to the popular sea goddess Tin Hau is often called Tai Miu (大廟 Dà Miào), meaning Great Temple, and looks out over the seas to protect fishermen. Although also Punti people, the Tang Clan (鄧族 Dèng Zú) are definitely worth mentioning. The largest of the Five Great Clans of Hong Kong, the Tangs arrived during the 11th century and had strong connections to the ruling Song dynasty (960 – 1279 CE). The Tang Clan have a number of ancestral halls throughout Hong Kong’s New Territories, but the most important is in Lung Yeuk Tau (龍躍頭 Lóng Yuè Tóu). 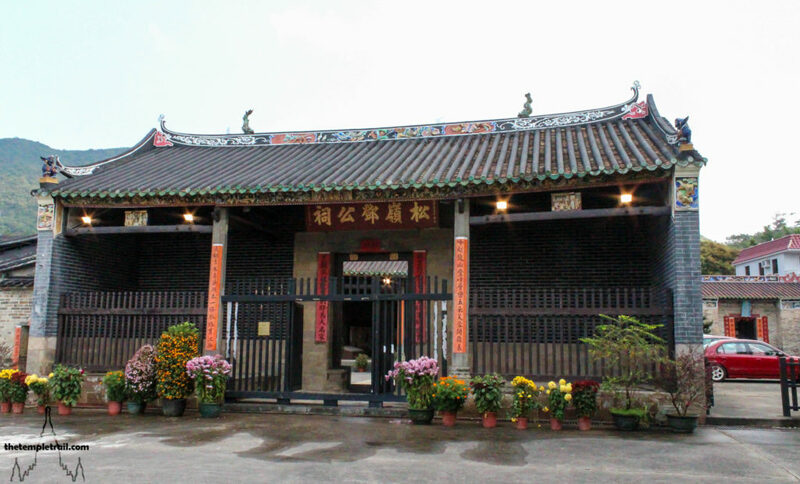 The Tang Chung Ling Ancestral Hall (鄧松嶺祠堂 Dèng Sōng Lǐng Cí Táng) is an impressive building that dates from 1525 and contains the ancestor soul tablets of many generations of Tangs. The hall is named after the 14th century founding ancestor Tang Chung Ling. Here, the extended family are the object of ancestor worship. The most interesting soul tablets here are those of Tang Wai-kap and his wife, a princess of the Song dynasty. The Hakka (客家 Kèjiā) are a large ethnic group in Hong Kong. Their name means ‘guest families’ and they arrived in Hong Kong from Fujian Province. They did not originally come from that area and actually originated from further north near the Yellow River, hence their name. They have not always got along with their neighbours and the 19th century Punti-Hakka War in Guangdong Province is testament to that. The well-travelled group always build a temple to the Kings of the Three Mountains (三山國王 Sān Shān Guó Wáng) wherever they settle. The Three mountains are Mt. Du, Mt. Jin and Mt. Ming in Guangdong. 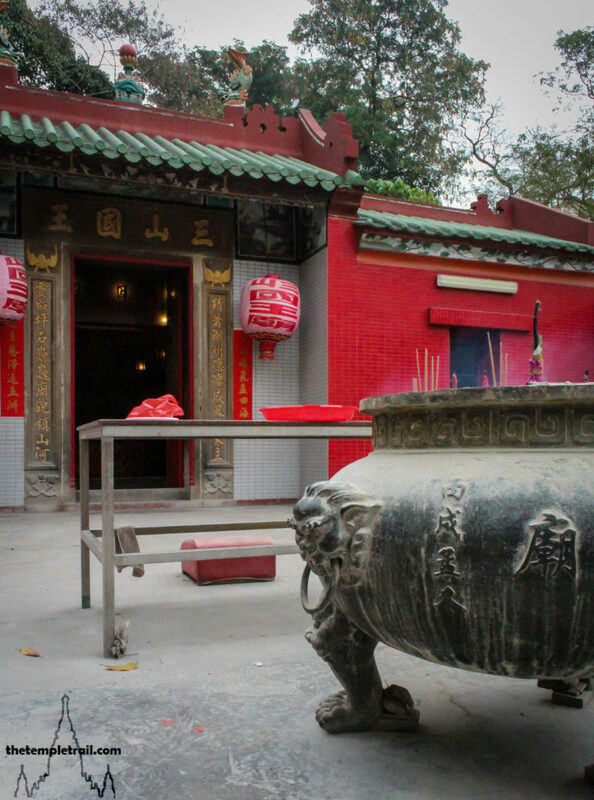 Here in Hong Kong, the Sam Shan Kwok Wong Miu (三山國王廟 Sān Shān Guó Wáng Miào) in Ngau Chi Wan, is their place to venerate their ancestral gods. Another group that came from Fujian Province are the Hoklo (福佬 Fúlǎo). Hoklo means ‘Fujian folk’ and they make up a small, but significant part of the Chinese population of Hong Kong. The once small village of Chung Mei, on top of a hill in Tsing Yi ,has the intriguing Ching Tak Tong Tat Mor Cho Sze Miu (清德堂達摩祖師廟 Qīng Dé Táng Dá Mó Zǔ Shī Miào). The temple is dedicated to Bodhidharma, the founder of Chan Buddhism in China, as well as enshrining Tai Shing (大聖 Dàshèng), the Monkey King, and Chun Kwan (真君 Zhēn Jūn), a local hero who has his own temple at the base of the hill. The temple was built in 1950 by Hoklo people who came to Hong Kong from Haifeng and Lufeng in Guandong Province. Their neighbours from Guandong Provice are the Chiuchow people (潮州人 Cháozhōurén). The natives of Chaoshan are famed for their opera and their fierce defence of fellow Chiuchow. Their neighbourhoods are often bastions of traditional culture. The Tai Shing Miu (大聖廟 Dàshèng Miào) is a one-off in Hong Kong and houses the Monkey God. Sun Wukong (孫悟空 Sūn Wùkōng), the main character of the famous novel Journey to the West, had a new temple built in his honour in 2014. The original, built by the Chiuchow of the East Kowloon Sau Mau Ping area, was torn down to make way for new apartments. Tai Shing Miu has a resident spirit medium who gets possessed by the god and performs amazing feats, embodying the indomitable spirit of the Chiuchow people. The Tanka (蜑家 Dànjiā) are usually called the Shui Sheung Yan (水上人 Shuǐshàngrén), or “On-water People”, as Tanka is a somewhat derogatory name. The “Boat People” live on the water and were referred to as “Sea Gypsies” by the British. These boat-dwellers stay in the typhoon shelters of Hong Kong. They have settlements in places like the stilt village of Tai O on Lantau Island, but their amazing mobile temple, Shui Sheng Tin Hau Sam Gok Miu (水上天后三角廟 Shuǐ Shàng Tiān Hòu Sānjiǎo Miào), represents them well. Meaning the “Above Water Tin Hau Three Corners Temple”, the sanctuary is itself a boat. Also called the floating temple, it is home to a statue of Tin Hau that was rescued by the Tanka from a temple in the Pearl River Delta (珠江三角洲 Zhūjiāng Sānjiǎozhōu) or “Three Corners”, during the Japanese Occupation. 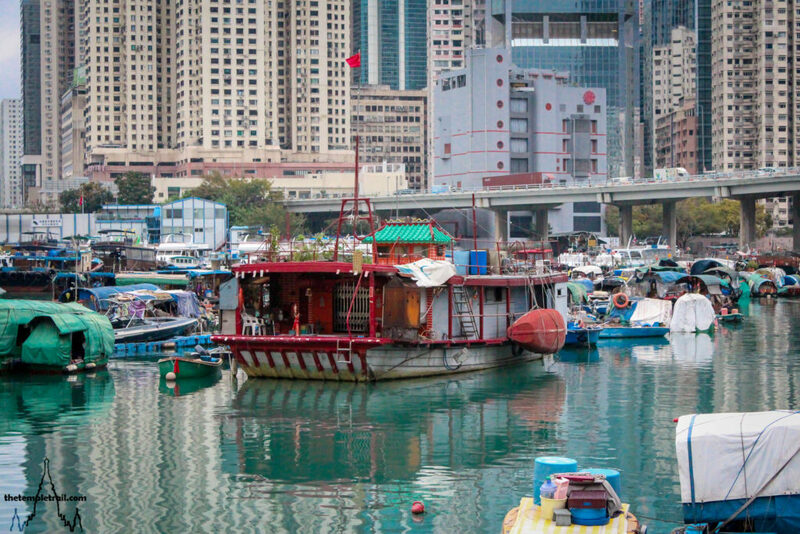 The temple was finally moored in Causeway Bay Typhoon Shelter after the Second World War. These Chinese temples in Hong Kong all represent their builders in subtle and not so subtle ways. They are monuments to the ethnic diversity within the Chinese population of the territory and each tell a story about the communities they represent. « Who is Tin Hau?